Great balls of fire! NASA's Hubble Space Telescope has detected superhot blobs of gas, each twice as massive as the planet Mars, being ejected near a dying star. The plasma balls are zooming so fast through space it would take only 30 minutes for them to travel from Earth to the moon. This stellar "cannon fire" has continued once every 8.5 years for at least the past 400 years, astronomers estimate. The fireballs present a puzzle to astronomers, because the ejected material could not have been shot out by the host star, called V Hydrae. The star is a bloated red giant, residing 1,200 light-years away, which has probably shed at least half of its mass into space during its death throes. Red giants are dying stars in the late stages of life that are exhausting the nuclear fuel that makes them shine. They have expanded in size and are shedding their outer layers into space. The current best explanation suggests the plasma balls were launched by an unseen companion star. 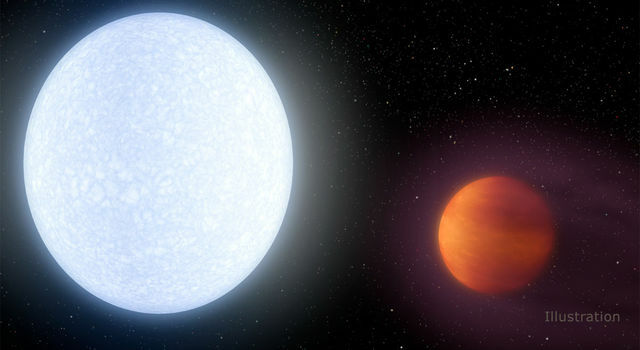 According to this theory, the companion would have to be in an elliptical orbit that carries it close to the red giant's puffed-up atmosphere every 8.5 years. As the companion enters the bloated star's outer atmosphere, it gobbles up material. This material then settles into a disk around the companion, and serves as the launching pad for blobs of plasma, which travel at roughly a half-million miles per hour. This star system could be the archetype to explain a dazzling variety of glowing shapes uncovered by Hubble that are seen around dying stars, called planetary nebulae, researchers say. A planetary nebula is an expanding shell of glowing gas expelled by a star late in its life. "We knew this object had a high-speed outflow from previous data, but this is the first time we are seeing this process in action," said Raghvendra Sahai of NASA's Jet Propulsion Laboratory in Pasadena, California, lead author of the study. "We suggest that these gaseous blobs produced during this late phase of a star's life help make the structures seen in planetary nebulae." Hubble observations over the past two decades have revealed an enormous complexity and diversity of structure in planetary nebulae. 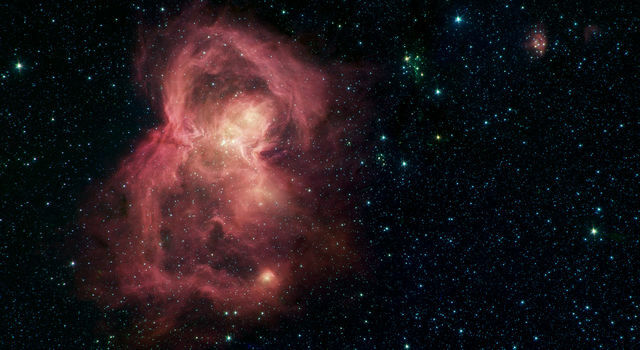 The telescope's high resolution captured knots of material in the glowing gas clouds surrounding the dying stars. Astronomers speculated that these knots were actually jets ejected by disks of material around companion stars that were not visible in the Hubble images. Most stars in our Milky Way galaxy are members of binary systems. But the details of how these jets were produced remained a mystery. "We want to identify the process that causes these amazing transformations from a puffed-up red giant to a beautiful, glowing planetary nebula," Sahai said. "These dramatic changes occur over roughly 200 to 1,000 years, which is the blink of an eye in cosmic time." Sahai's team used Hubble's Space Telescope Imaging Spectrograph (STIS) to conduct observations of V Hydrae and its surrounding region over an 11-year period, first from 2002 to 2004, and then from 2011 to 2013. Spectroscopy decodes light from an object, revealing information on its velocity, temperature, location and motion. The data showed a string of monstrous, superhot blobs, each with a temperature of more than 17,000 degrees Fahrenheit (9,400 degrees Celsius) -- almost twice as hot as the surface of the sun. The researchers compiled a detailed map of the blobs' locations, allowing them to trace the first behemoth clumps back to 1986. 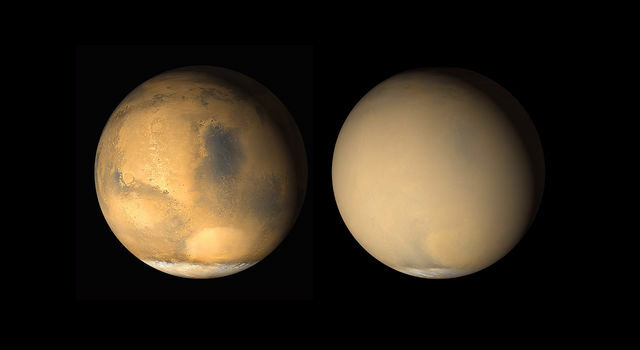 "The observations show the blobs moving over time," Sahai said. 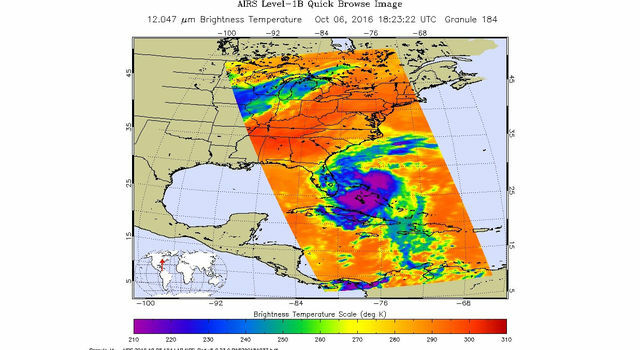 "The STIS data show blobs that have just been ejected, blobs that have moved a little farther away, and blobs that are even farther away." STIS detected the giant structures as far away as 37 billion miles (60 billion kilometers) away from V Hydrae, more than eight times farther away than the Kuiper Belt of icy debris at the edge of our solar system is from the sun. The blobs expand and cool as they move farther away, and are then not detectable in visible light. 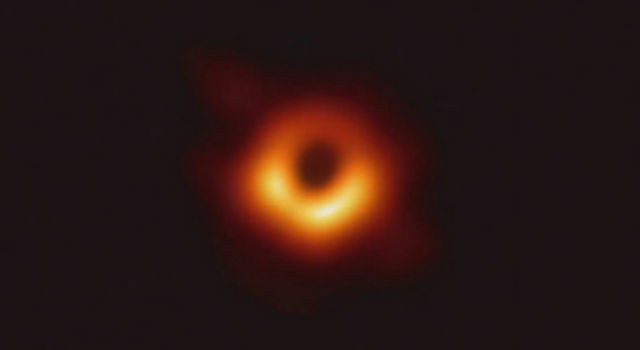 But observations taken at longer, sub-millimeter wavelengths in 2004, by the Submillimeter Array in Hawaii, revealed fuzzy, knotty structures that may be blobs launched 400 years ago, the researchers said. Based on the observations, Sahai and his colleagues Mark Morris of the University of California, Los Angeles, and Samantha Scibelli of the State University of New York at Stony Brook developed a model of a companion star with an accretion disk to explain the ejection process. "This model provides the most plausible explanation because we know that the engines that produce jets are accretion disks," Sahai explained. "Red giants don't have accretion disks, but many most likely have companion stars, which presumably have lower masses because they are evolving more slowly. The model we propose can help explain the presence of bipolar planetary nebulae, the presence of knotty jet-like structures in many of these objects, and even multipolar planetary nebulae. We think this model has very wide applicability." A surprise from the STIS observation was that the disk does not fire the monster clumps in exactly the same direction every 8.5 years. The direction flip-flops slightly, from side-to-side to back-and-forth, due to a possible wobble in the accretion disk. "This discovery was quite surprising, but it is very pleasing as well because it helped explain some other mysterious things that had been observed about this star by others," Sahai said. Astronomers have noted that V Hydrae is obscured every 17 years, as if something is blocking its light. Sahai and his colleagues suggest that due to the back-and-forth wobble of the jet direction, the blobs alternate between passing behind and in front of V Hydrae. When a blob passes in front of V Hydrae, it shields the red giant from view. The team hopes to use Hubble to conduct further observations of the V Hydrae system, including the most recent blob ejected in 2011. The astronomers also plan to use the Atacama Large Millimeter/submillimeter Array (ALMA) in Chile to study blobs launched over the past few hundred years that are now too cool to be detected with Hubble. The team's results appeared in the August 20, 2016, issue of The Astrophysical Journal.